I was hoping you might be able to help out with some info on the Bradshaw art sites in the Drysdale River area. From an APT tour brochure I understand they might be in the Mitchell Plateau area - perhaps also known as Wandjina or maybe they are two separate sites. 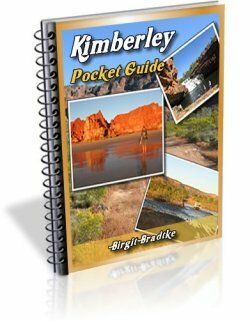 Having read through both your publications on the Kimberley region I cannot find any mention of these sites or where to access them. 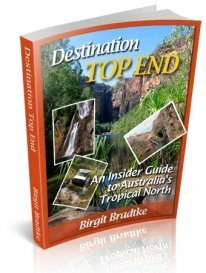 By the way - both of your books are a wealth of information and will be of great assistance to us on our trip in July this year with friends from France. I am envious you have been able to take a passion & turn it into a livelihood especially for an area so beautiful. Wandjinas and Bradshaws (or Gwion art) are two totally different styles from different eras. There are hundreds of exceptional art sites in that area, but few of them are easily accessible. For most you would need a boat and a knowledgeable guide. 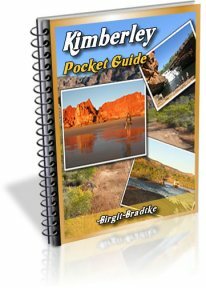 The best sites that are easily accessible are near the King Edward River campsites, and the full guide tells you how to get there (p. 177). I suspect that might be the sites your APT brochure references. You can also find some great sites along your way to the Mitchell Falls (if you walk down from the campground). 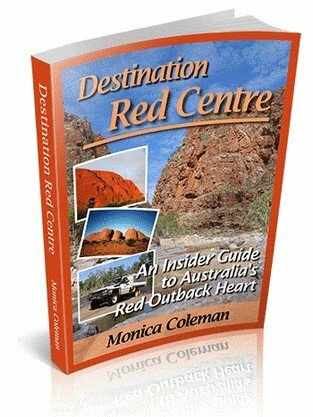 There are even more really special sites near Kalumburu, and others on the land of stations along the Gibb River Road, but to get there you usually need guides that know the area. That isn't something where you can just stroll down yourself, and it is beyond the scope of a travel guide book to describe how to find an art site in such a remote wilderness. The stations and also Kalumburu offer guided walks to those sites. Well worth it if you are into art. The photo from Mt. Elizabeth shows a Bradshaw painting. Wandjinas are the big, haunting faces you can see near the beginning of this Kimberley video. Btw, I just did a Google image search, one for "wandjina" and one for "bradshaw art"... Striking images and very clearly shows the difference in style when you see them right next to each other. After years of living and working in the Kimberley, I believe the best way to access many of the most exquisite Bradshaw sites is by charter boat with an experienced guide who knows where they are. I've seen Bradshaw paintings in great quantities and of brilliant quality, that I have never seen mentioned in any of the Kimberley art books, including Graham Walsh's highly regarded "Bradshaw art of the Kimberley", and Ian Wilson's "Lost World of the Kimberley". All sites were accessed by boat, plus some strenuous walking in some cases. If you are truly interested in the Bradshaws I suggest you read both of the books mentioned above, and if you still have the urge, contact some of the charter boats working out of Broome. I would like to travel to Australia.